We have decided to bring our daughter to Pittsburgh. It's a few hours drive from where we live and it's a great getaway for 3 days. 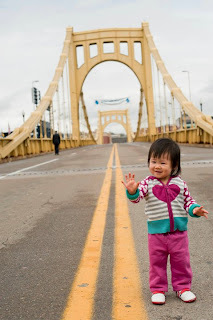 We stayed at the downtown of Pittsburgh and since it's holiday, the parking lot only charged $6 for parking full day, which was great! 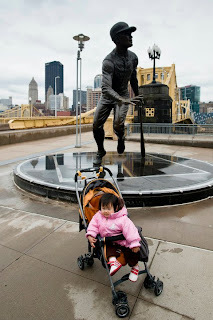 Once we parked the car, we were in walking distance to PNC Park and other shopping area in the downtown district. And since it's the Easter long weekend, the hotel had Easter egg hunt inside the hotel which my daughter was very interested in it. It was a very relaxing weekend and it's certainly a place that we would go back every year.